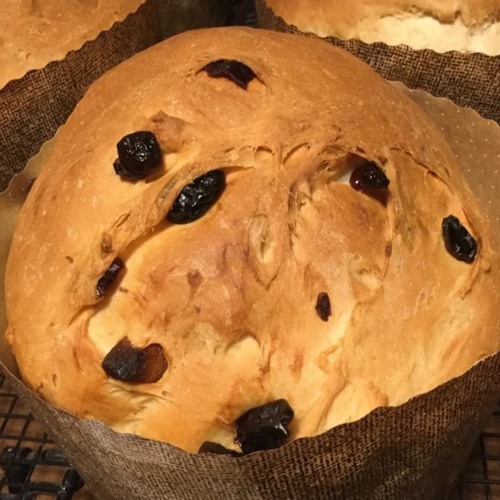 On this special 2nd anniversary show, I give you my panettone recipe! Panettone, which means "Luxury Bread," is a traditional Italian Christmas treat, so you've got a good 11 months to practice! :) CORRECTION: We have just noticed that an error has been made in this recipe! You need ONE cup of very warm water, not 1/4 cup! Everything else should be correct. Sorry for the confusion! Be sure to check us out online on Facebook and Instagram (@marymacbakehouse), Twitter (@marymacmixes), and on our website, www.marymacpodcast.com! CORRECTION: We have just noticed that an error has been made in this recipe! You need ONE cup of very warm water, not 1/4 cup! Everything else should be correct. Sorry for the confusion!